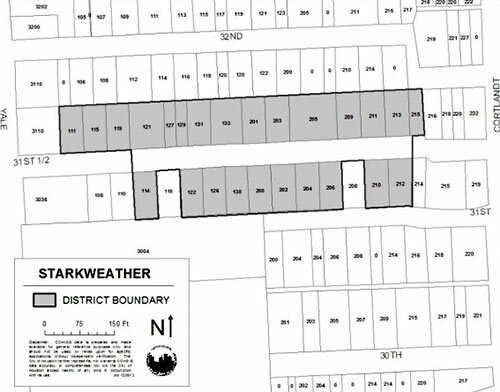 The City Council recently approved another historic district. This one is significant for a couple of reasons: It is only the second one outside the loop; it is in a part of town that has been ignored for a long time, in Independence Heights. Click on Menu Bar above for other pages on Historic Districts in Houston. 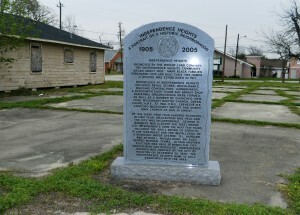 Just north of the Heights is Independence Heights. 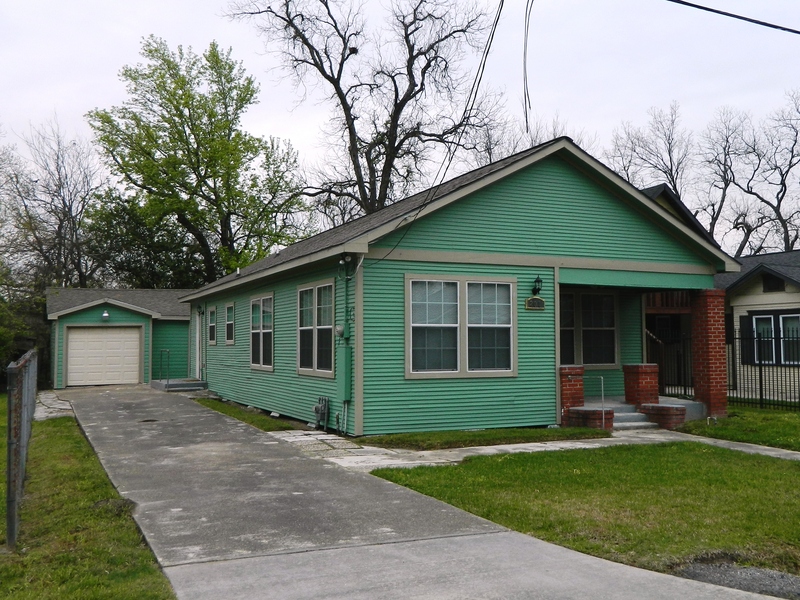 The 610 Loop is all that physically separates Independence Heights form Houston Heights, but economically, they are worlds apart. Lots in the Heights (when you can find them) sell at $40’s/SF to >$70/SF. Independence Heights lots did sell for $3.00/SF two years ago (if they sold at all). Now they sell 2-3 times that, and are being snapped up. Lots of building activity in the area! I will devote a page to this area in the near future, but for now, back to the new historic district. Tiny little Starkweather Historic District is a just one street long, inside Independence Heights. It is E 31 1/2 St, between Yale and Cortlandt. This is the second district outside of the loop, and brings the total number of historic districts to 21. Starkweather was developed in the 1920’s by Edgar Phelps and son. These lots were sold predominantly sold to African-Americans who wanted to live in the municipality of Independence Heights. See Culture Map for a little more info. More on this area and Independence Heights in a future post, but here are couple of photos taken March 2014. One shows the typical bungalow style of Starkweather, the other a historic marker on Independence Heights.